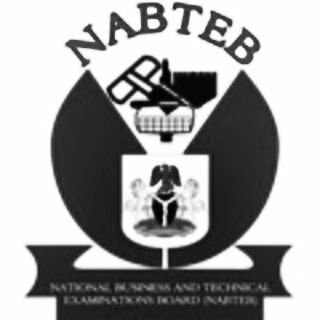 The National Business and Technical Examinations Board - NABTEB Has Vowed to Prosecute Candidates Involved or Caught Engaging in Examination Malpractice During the May/June NTC/NBC and November/December Examinations. The National Business and Technical Examinations Board (NABTEB), Registrar/Chief Executive, Prof Ifeoma Isiugo-Abanihe has warned candidates writing the on-going May/June 2018 examinations to desist from examination malpractices. Speaking to reporters at the NABTEB headquarters in Benin City, Prof Isiugo-Abanihe said any candidate caught cheating would be prosecuted. The NABTEB May/June certificate examinations, which started with the practical component on Monday, are for the National Business Certificate (NBC) and National Technical Certificate (NTC) awarded by the board. Speaking on the importance of vocationals education and skills acquisition, the NABTEB boss observed that there was serious underproduction of artisans, craftsmen and technicians in the country compared to those of technologists, engineers and other professionals. She noted that the problem needed to be aggressively tackled through the expansion of the board’s assessment programmes for the exams as well as the Modular and Nigerian Skills Qualification assessment.